Significant severe weather event to unfold Monday, May 10 across the Great Plains. There is a lot of hype in the meteorological and storm chasing community regarding the Monday, May 10th setup, and it is deserved. Much of the focus in the storm chasing community centers around the southern Kansas to northern Oklahoma area…along the I-35 corridor from Wichita to Oklahoma City and points east. This is where the NAM model has kept the best focus in terms of surface-based CAPE and wind shear combination. I think there is a strong possibility of tornadic storms farther north, however. The ECMWF and GFS models have been very consistent in spreading a warm nose northeast well into western and central Kansas…with associated CAPE > 1000 J/kg as far north as I-70 corridor. 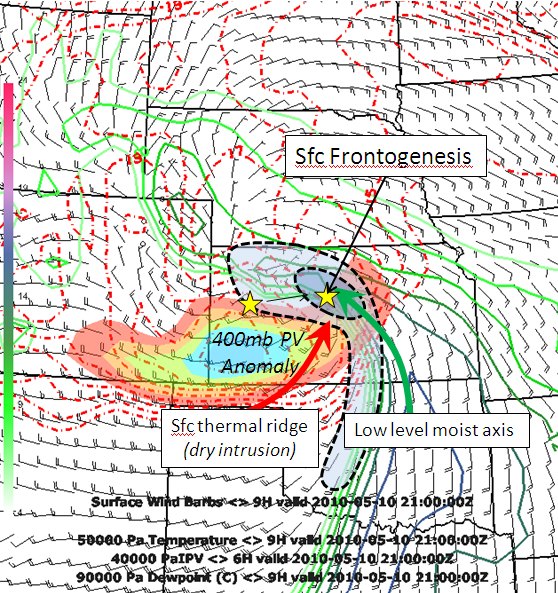 I think tornadic storms will be favored in the area of strongest low level thermal/moist advection as well as frontogenesis… in response to the mid level potential vorticiy (PV) anomaly moving due east across Kansas. The greatest low level response should be across Central Kansas during the late afternoon/early evening hours…with tornadic storms forming/evolving in this greatest forcing. 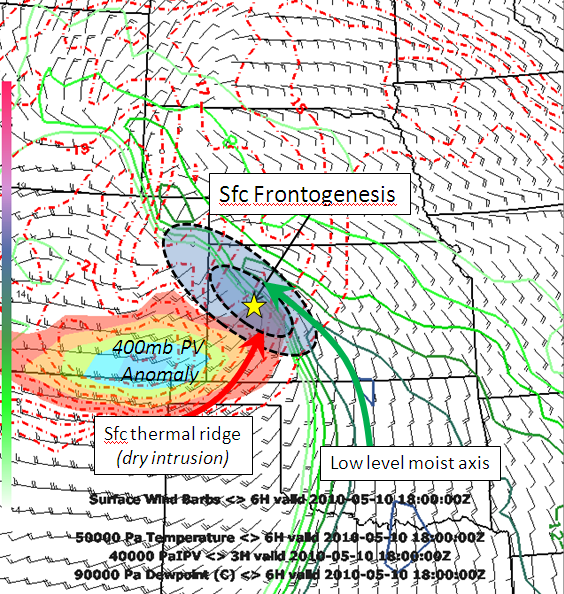 Significant supercell storms will also develop along the dry intrusion/dryline perhaps as far south as central Oklahoma… but the mid level cold advection and forcing will be weaker this far south. I am really worried about the areas east of I-135 in Kansas from Wichita to Salina and points east to the Missouri border including Topeka, Lawrence, Emporia, Kansas City, and Chanute. This is the corridor where mid level forcing and subsequent low level response will be strongest, especially during the evening hours. Significant, long-lived tornadoes may result, and given the storm motion of 40-50 mph, very long track tornadoes are a distinct possibility. What this basically means is that the probability of at least one small town taking a hit is increased. 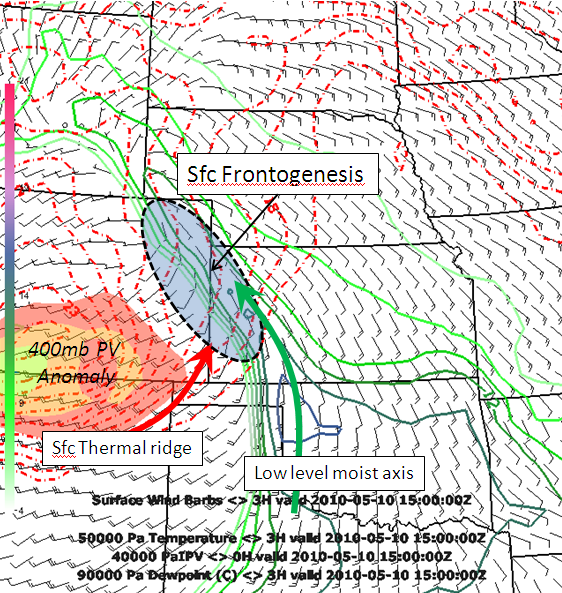 Historic F4 and F5 tornadoes have occurred in setups like the one forecast Monday. I fully expect national media attention when the dust settles after this one.